It turns out that the MTA is just as sick of those flimsy yellow MetroCards as everyone else and by 2022 we'll (hopefully) never have to endure the stress of 10 “please swipe again at this turnstile” messages again. MTA spokesman Adam Lisberg told Transportation Nation that the agency “wants to get out of the business of issuing the fare payment mechanism.” But it’s gonna take a while to get to that point. According to the minutes from a committee meeting on Tuesday, companies will be able to bid on the project until 2016, which means riders likely won't be able to start using the new system until 2020 and MetroCards will not be completely phased out until 2022. Ideas for the new contactless system include using items that most people already own like a credit card chip or a bar code you pull up on your smartphone. 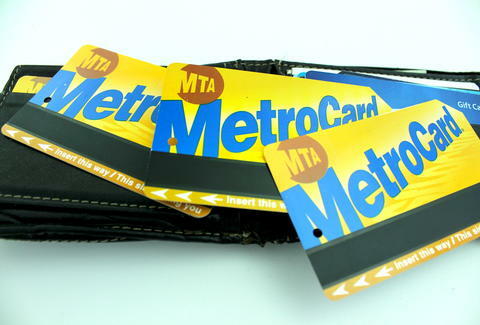 The MTA claims maintaining the existing MetroCard system is getting too expensive. Overhauling it is estimated to cost about $450 million, and you'll likely see the changes on buses before subways. While we continue to suffer and swipe at each turnstile, the MTA apologizes for any inconvenience. Emily Kolars is an Editorial Assistant at Thrillist. She’s a MetroCard-swiping master, follow her on Twitter where she complains about the subway and anyone who hasn't mastered the one-swipe technique.